Tweaking my running plan…..what was I thinking…. There must be a high after running a race. The last race I ran was in April (Big Sur Marathon Relay) and after that I was GUNG HO about continuing to run races. That died pretty quickly!! Maybe running on a relay team feels different than running solo. Who knows but after running NWM, I’m finally getting serious about running. That whole weekend just pumped me up and the feeling of accomplishing something big just makes me want more!!!! I’ve been running ummmm 3 yrs. Casually??? For fun?? For peace??? Whatever the reason who knows but I enjoy it. 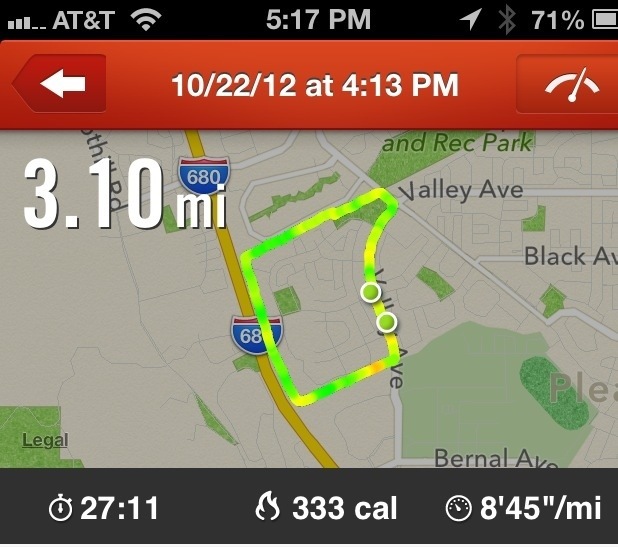 I was pretty consistent at running during the last 3 yrs but never really pushed myself or tried to become faster etc. I have read a lot about running ie..tiempo runs, split runs, speed work etc. but never really did any of it. 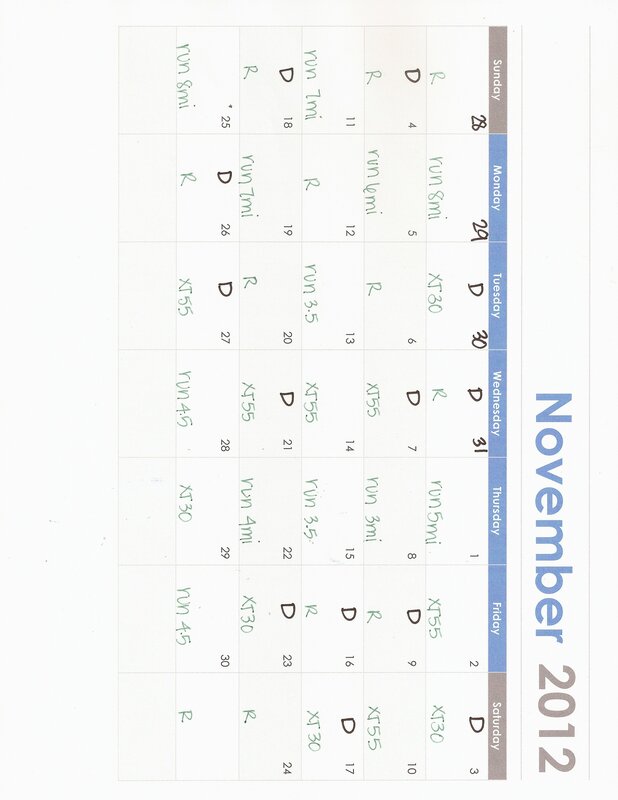 When I had 3 1/2 weeks to train for the NWM 1/2 marathon, I did research and found a great plan to train in 8wks (I did the last 3 wks of the plan). I really liked this plan and decided to use it as my workout/running plan. The part I liked the most about this plan was the long runs once a week and that I can fit in cross training on non running days. I sat down last week and plotted my plan in my schedule. I work three 12 hour shifts a week so I have to tweak the plan to fit my work schedule since I don’t get off until 730pm. 10/29 Planned 8 mile run. 🙂 Accomplished. Poor right hip was not feeling good the last 1 1/2 miles. Pushed through!! 9’33″/miles Not bad. My prior was 10’10″/miles. 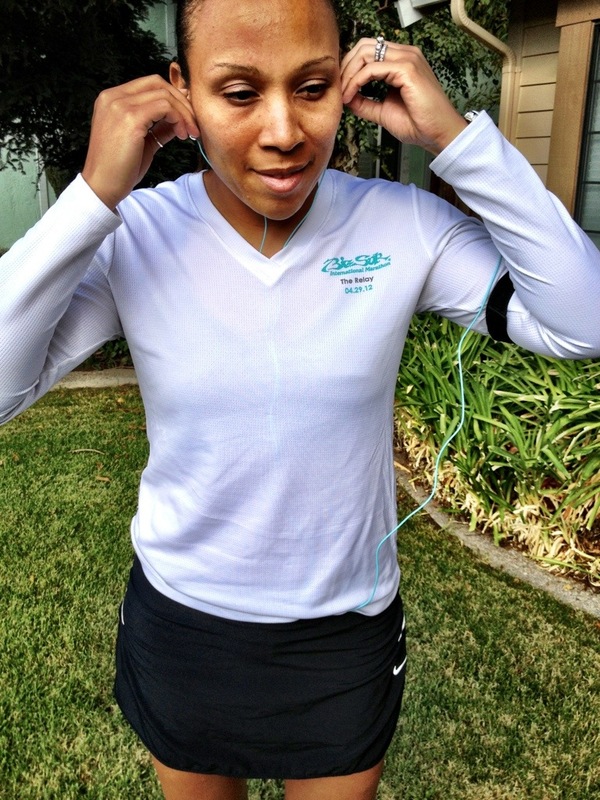 After that run, I thought to myself….. what am I doing? I can’t keep running long runs like this if my hip is bothering me, knees etc. I’ve never really had knee pain with running. Only with hills and my hip has hurt before with long runs. I would like to run as long as I can (part of the reason I’ve never really pushed myself). Gotta take care of this body I was given and not run it into the ground!! LOL.. After looking at my running schedule, it came to me!!! I can’t be running this many miles without breaking myself in. Remember when I started training 3 1/2 wks before NWM, I increased my running distance in one week by 8 miles then 10 miles. 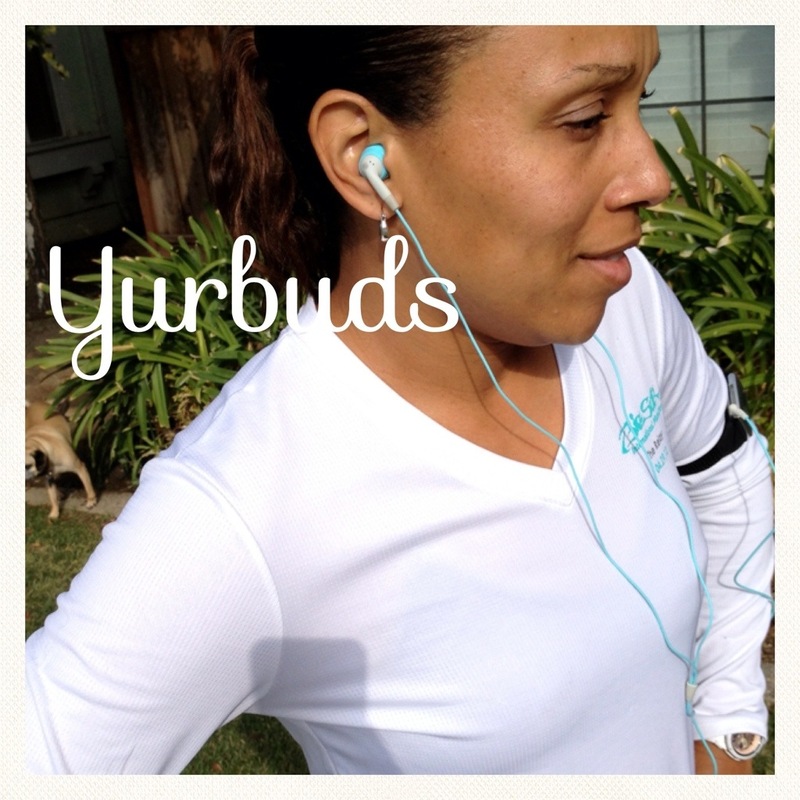 My longest run before training was 4.5 and I busted out running 8 miles the first week of training! <—oooooo I felt that 8 miles for days!!! Crazy!!!!!! I've read many times not to increase your weekly mileage by more than 10%. Well shoot!! I did more than that!!!!!! Be smart girlfriend!! Pick a more realistic running plan that won't cause injury!!!!!!! 5 days after and 2 busted toes!! It’s been 5 days since my first marathon. I’m feeling pretty good. The day after the race, I was sore if I sat for a while. Tues & Wed, I worked and felt great too. I had plans to start working out on Wednesday and run on thursday. The only thing holding me back is this one lingering battle wound from the race. TWO bruised big toe’s!!!!! I did have blisters on each pink toe and abrasions on the side of each arm from my arm sleeves! Ouch!! Thanks to all those hills in San Francisco, my 2 big ole toes were holding me back. I needed to get out and do something. So I decided to take a walk with my dog Miles. We ended up walking 3 miles. 🙂 My first 1/4 mile, my left toe was hurting. I didn’t know if I could do it and I almost turned around a couple of times. I asked myself, does it hurt or is it uncomfortable? If I stopped every time I felt discomfort while running, I would never complete a run. I think with every run, something bugs me. I once read that you need to know the difference between true pain and discomfort. I’ve always used this theory when I run. 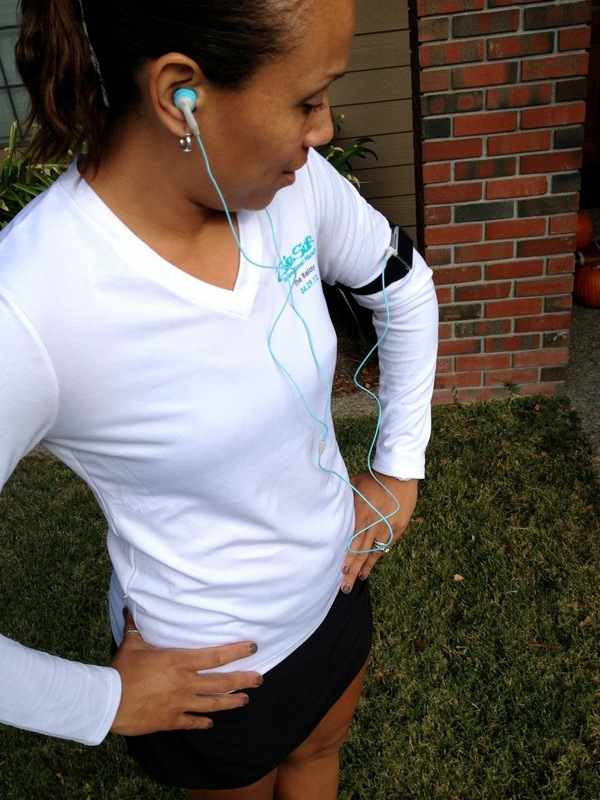 As long as I can keep running, I keep on running and most often the discomfort stops. So I kept walking and sure enough it eventually felt better. This was the first day I’ve worn tennis shoes since race day. Flip flops were my best friends and for work I wore Crocs. It felt great to get out and exercise. Even if it was just walking. 🙂 I work every other weekend, so I won’t be able to try running again until Monday. I will try and hit the gym once this weekend (a mini workout) well see how my toe friends are doing on monday. NWM 2012 San Francisco! Race Weekend! I survived!!!! Race day came fast and I can’t believe it’s over and I did it!!!! I survived in one piece and not a bundle of muscle spasms and blisters!! LOL….This was an awesome race and Nike did a great job of catering to us!! Day Before Race: I checked in the day before the race, enjoyed the expo and headed over to Nike Town to shop!!! I think I went overboard but I had fun and this was my first 1/2 marathon. I later heard this was the biggest marathon ever!!! I was able to get my hands on the limited edition Tiffany NWM12 Lunar Glides!!! OH MY!! Sweeet!! 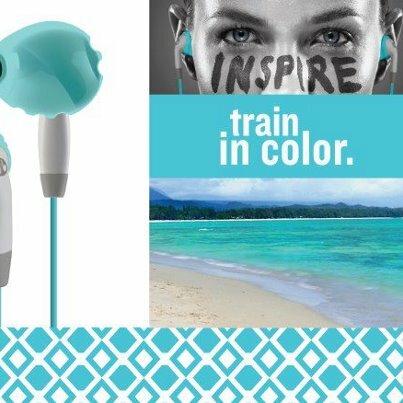 I also picked up a NWM pull over top, hat, shirt and the new Yurbuds in the Tiffany color blue. 🙂 Even though they claim they don’t fall out even with running, I didn’t want to try them out on race day. New gear on race day is a NO, NO!!! I may not have been running long but I do know that! I haven’t tried them out yet but I will surely blog about it when I do. After spending the morning in San Fran, I headed home to pack and return later in the evening after my son’s basketball game. Dinner with friends in the city. Then hubby and I headed to target to get bandaids for my pinky toes and to the hotel we go!!! All checked in!! I laid out my outfit for race day, decided what shoes to wear and began doing research!! What was I researching you ask? Funny…but I researched how to run hills and how to run a 1/2 marathon!!! I didn’t train hills AT ALL and this race is known to be a hilly course. I know your thinking crazy girl!!! Crazy girl!!! I really didn’t have time to train hills. I was more concerned about teaching my legs to run long distances. If you remember my training plan, it allowed me to have cross-training days. I thought this was important because these were the days I did resistance training or biking. If you have strong legs, the hills will be easier. You can train running hills all you want but I feel strong legs will allow you to run hills as if you had trained running hills. Great alternative if you don’t have hills around you to train on. I’m speaking from experience. I found a video on youtube that talked specifically about running NWM and the hill at mile 5-6. Great!!!!! I also found another funny video about crazy marathon runners. I had no idea with first person to run a marathon died. He was delivering a letter and when he arrived he died. Now thousands of people run marathon’s every year. This could explain why more black people don’t run!!! *kidding* I thought that was an interesting fact. My time 2:17!! I really didn’t have a goal pace/time. With only 3 1/2 wks to train it wasn’t that important to me. I only said my goal was to finish between 2 1/2 to 3 hrs. If I took an average of my running pace the last year, I figured it would take me 2:10. I gave myself a generous timeframe to account for training time, hills, and endurance. I’m proud of myself and it’s such a huge accomplishment for me. Right after the race, I said I wouldn’t run NWM again because of how crowded the course was and how frustrating it was to run with all the people. The next day, after I was able to appreciate the experience of the race, the whole weekend, how Nike totally spoiled us, I told myself, I would do this a race again. 🙂 It’s really all about the experience and I must say it was an awesome one and if you ever get a chance to run NWM San Fran, you should do it!!!! Can you believe it!! 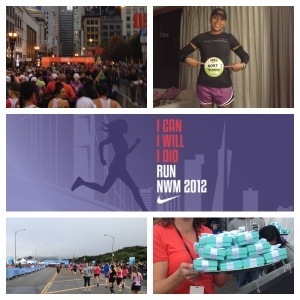 I just ran my first half marathon Oct 14,2012 in the NWM12 in San Francisco!!! I went from laughing at the thought of this black girl running to running 13.1 miles!!!! Crazy!!! First of all, this is an extremely hard marathon to get into. It’s very popular. If your not part of a Team in Training group, the only way to get a race entry is via lottery. I tried in 2011, didn’t get picked. 😦 Forgot to try this year because I was moving and forgot. I signed up for the NWM26.2 Facebook page and would get regular updates about the upcoming marathon. I was jealous yet excited about those participating this year. I looked on craigslist for people selling their bib, I entered the Safeway 2nd chance offer and Zico Coconut Water 2nd chance offer. No such luck!! 😦 Doing my normal FB reading, I saw a post from NWM FB offering entry to NIKE+ members. I couldn’t believe my eyes!! Click here….I did…..complete this…I did…….next thing I know I get a confirmation Congratulating me on getting in the NWM 1/2 marathon!! I immediately got nauseous!! I couldn’t believe it. I was sitting in Ikea eating lunch with my daughter. I look at my daughter with big confused eyes and said..”I just got into the NWM!! !” She looked at me like…and??? I went on to explain to her how hard it is to get into and how I had been trying to get in this year. Well….I just got in!!!!! She then got really excited and congratulated me!!!! I was in awe for the rest of the day! Race day was 4 wks away!!!!! Wow!!! 4 wks to train for 1/2 marathon. I never really did long distance runs. I averaged about 10-12 miles a week. I had just started upping my long runs to 4.5 miles 2 wks prior to this (thank goodness). Later that evening, I quickly researched how to prepare for a 1/2 marathon in 4 wks!!!! I really had 3.5 wks because I couldn’t start running until later in the week because of my work schedule. I used this plan to train. My first week of running I ran 4.5 miles twice and one long run for 8 miles. That 8 mile run pooped me out. After that run I came home, showered and slept 2 hrs!!! I was pretty sore for about 2 days. I looked at many difference sites for 1/2 marathon training plans. The one I choose seemed realistic and doable. I choose an 8 week training program for beginners. Since I only had 3 1/2 wks to train, I started at week 5. I think this was a great training plan because I could combine running with cross-training. I didn’t have to just “run” for 3 wks. Some plans I came across had you running everyday. I just felt that was unrealistic and I didn’t want to over due it and cause an injury. Each time I did a long run, afterwards I felt better and better. I also made sure I had lower body deep tissue massage in between long runs so my muscles wouldn’t get tight. This is important for me because I’m prone to severe muscle spasms and I discovered deep tissue massage 1 1/2 yrs ago and it has helped tremendously. After my last long run of 10 miles, I felt pretty good. A little sore but much better than my first long run of 8 miles. The week up to race day, I did two short 2 mile runs so my legs don’t forget how to run. 🙂 Excited about race day!!!!! Can’t believe it’s time!!! Brown legs don’t fail me now!!!!!!! !